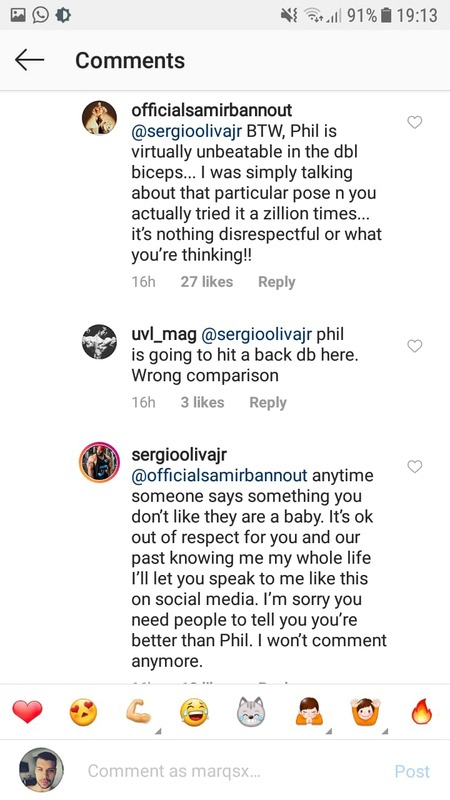 Sergio Oliva Jr talking more trash in IG - Why he's always so agressive? 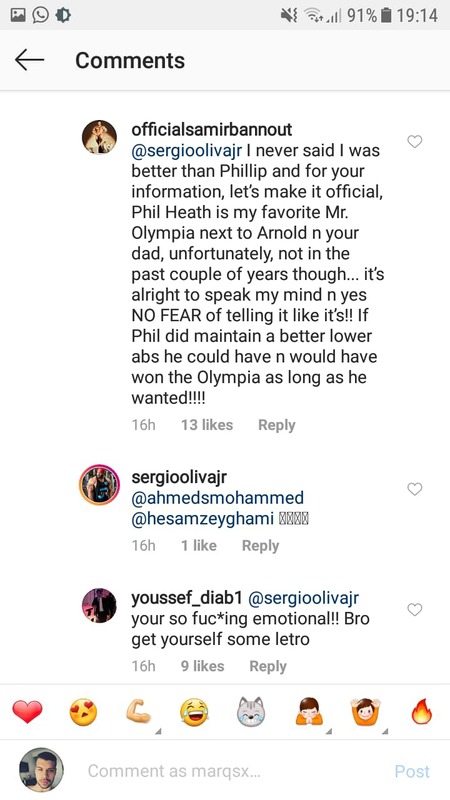 Thread: Sergio Oliva Jr talking more trash in IG - Why he's always so agressive? 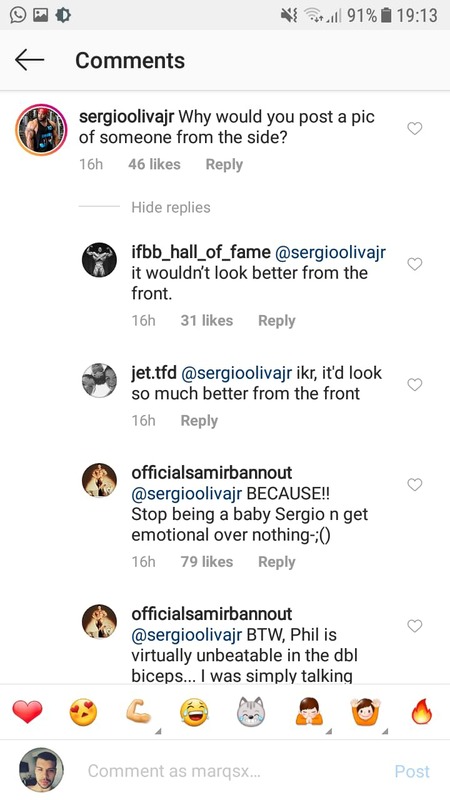 Think bothering to start a thread over this is way more babyish than anything Sergio said. Sergio showing good morale here by showing the elders respect , even if he dissagrees . 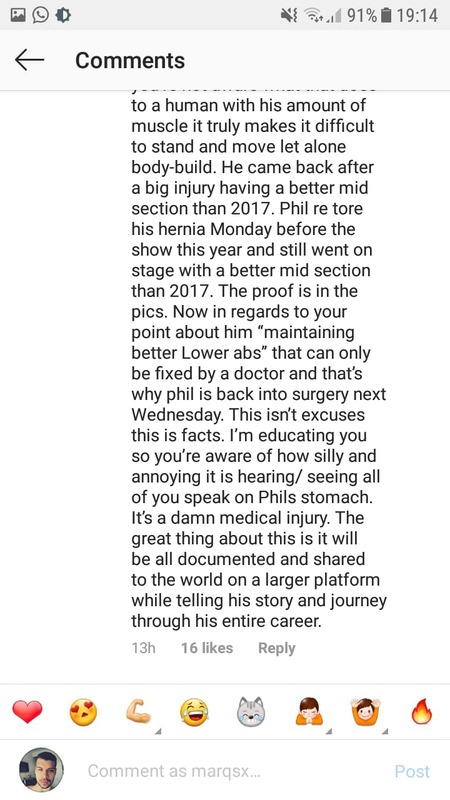 From what I remember Shurie usually goes haywire when defending Phil but her post was actually pretty informative and mature. Shocked. I have to say, Phil's wife is excellent at backing him up. I have no fascia around my abs either (or linea alba) from all the surgeries I had when I lost my colon in 2005. It is harder to keep your stomach "in",but it can be done with practice. a) No one was attacking Phil for her to step in and defend him. When people learn posing they're taught to pay attention to their transitions because you're always being watched. I've never heard of bb'ers prior to the 90's complain of people taking pictures from the side. Either come correct or take the hits. 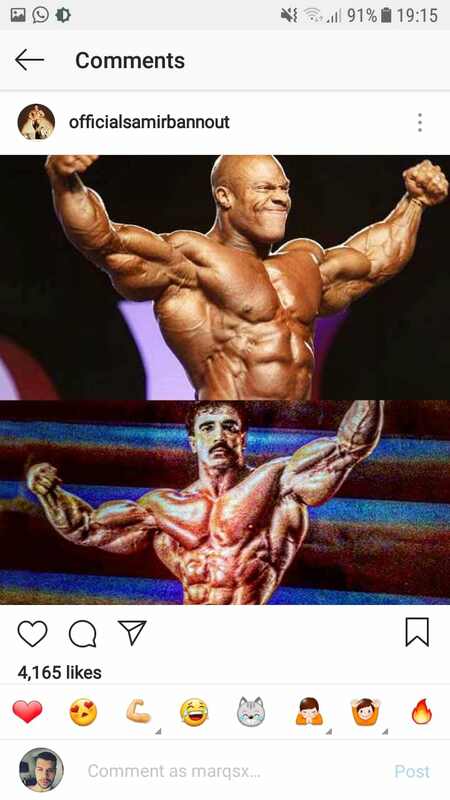 This is the idiocracy of bodybuilding. Sergio has to prove himself first. Sorry, Bro but you have not lived up to the hype. YOu always look better several weeks out than you do onstage. Get it right and then talk some smack, if that's your style. "Let another praise you, Not thy own lips, a stranger and not thy own mouth"
"i'll let you speak to like this on social media." Was he planning on fighting Samir? lol. 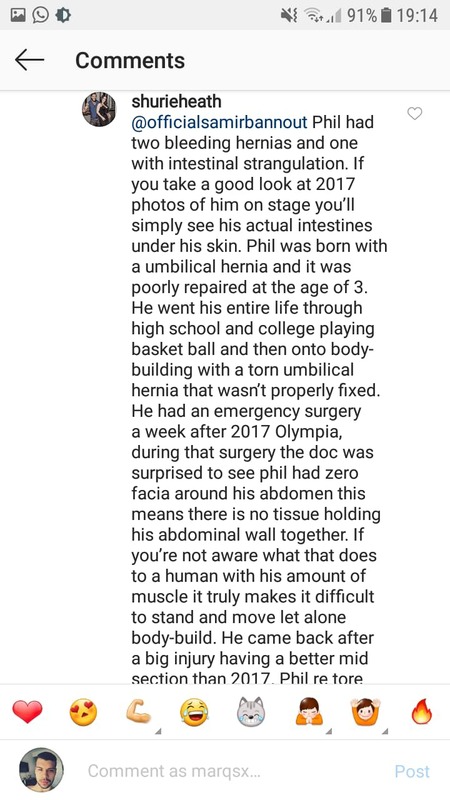 According to Phils new wife his problem that he has had his whole entire life seemed to take a back seat in 2011 and up until a few years ago lol. What a joke. Excuses are like assholes, everyones got one.